At the climax of an adrenaline-fuelled event like Sunday’s World T20 final, it may be hard to envisage the role psychology might play. Surely it is just a matter of the bowler putting the ball in the right place and/or the batsman hitting and hoping? Infact the state of mind and general demeanor of the two combatants has a massive influence on the outcome. The inflammatory post-match comments of the victor Marlon Samuels about the vanquished Ben Stokes suggests that perhaps he wasn’t the ideal person to bowl the final over, courageously willing though he was to do so. Bowling at such critical moments is a precise art. Not only does it require special skill but also an unusual mix of optimism and fatalism. You must have the self belief that you can direct the ball exactly where you want to, but also the realization that it might not be your day and it could go horribly wrong. As I wrote in the Times preview to the final, when bowling at the death ‘there is a tiny margin between getting it right and disappearing for 15 an over.’ Having bowled the last over in three Lord’s cup finals (W2 L1) I know this from bitter experience. Despite the enormity of the situation and your jangling nerves you must try and exude a sort of Zen-like calm. Any tension in the hands and fingers will ever so slightly inhibit the release of the ball – the difference between bowling a perfect yorker and a hittable half volley. Naked aggression or over-excitement can have the same result. The heartrate needs to be controlled and the breathing slow. Its best to take your time between balls. The best bowlers in these situations marry high levels of skill with a phlegmatic, almost jaunty attitude. Watch a last over from Lasith Malinga or Dwayne Bravo, or from England’s best ‘finisher’ Darren Gough. They look focused but relaxed. They run in with energy and determination, but they smile and shrug when things don’t go quite as planned and laugh it off. The responsibility sits lightly on their shoulders. What will be will be, their body language seems to say. It can be quite off-putting for the batsman. Stokes, for all his brilliant all-round ability, is not a composed character. He is passionate, confrontational. That is what makes him an exhilarating Test match cricketer, bringing to life a dormant period of play and seizing the moment. But that vivid, emotional streak has been counter productive in the high octane environment of the one day game where he is yet to deliver the sort of match-winning performance for England that his talent promises. He is so uptight. Watch him bat in a one-day game. He stands at the crease bristling with intent and tries to obliterate the ball with every stroke. And that’s just in the nets before play. Trevor Bayliss has tried to steer him down a calmer path, pre-match, but it hasn’t worked so far. And in Sunday’s final he allowed himself to get embroiled in verbal warfare with Samuels, even before the West Indian’s innings had got going. Samuels is a hugely provocative character: self-satisfied, outspoken, controversial. He deliberately gets under opponents skin and takes great pleasure in doing so. He feeds off confrontation. It fuels his determination. There have been many with similar traits. The Australian Steve Waugh was one. He thrived on opponents’ animosity. 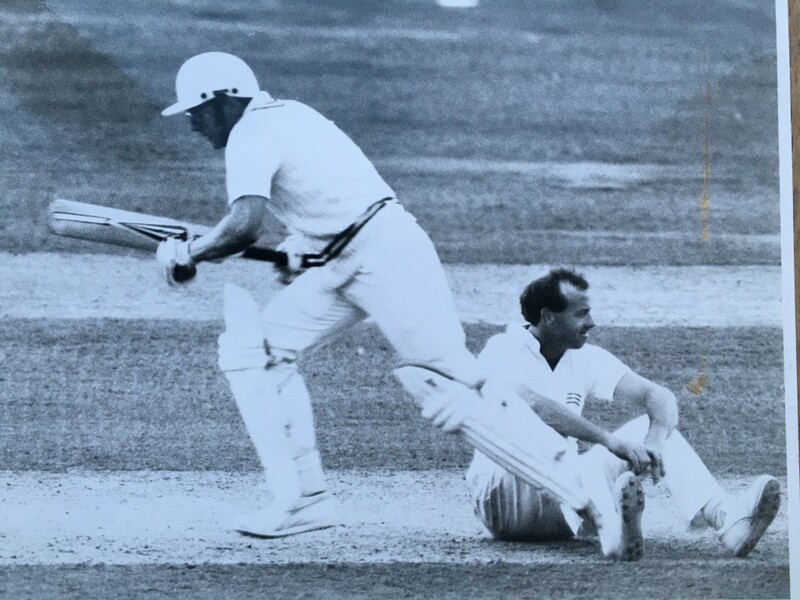 If someone didn’t sledge him when he first came to the wicket, he’d have a go at the bowler or a close fielder himself to stir things up, to create a frosty atmosphere. That got his juices flowing and enhanced his fighting qualities. He played his best cricket in those circumstances. The best way to deal with such a personality is to ignore him, pretend he’s not there. Waugh hated that, and Samuels would too. They see themselves as ‘special’, and ‘different.’ They don’t want to be treated like everybody else. If makes them feel suddenly inconsequential. But with so much previous hostility between him and Samuels, Stokes couldn’t help himself. The verbal spats began, rousing Samuels and riling Stokes. They continued periodically through the innings, intensifying Samuels’ desire. By the time Stokes came to bowl that fateful 20th over, he looked about to combust though he was doing his best to contain it. To make matters worse he had not bowled since the 11th over. Usually when you bowl at the death you need a couple of deliveries to settle your nerves and get your bearings. He had been entrusted with the 18th over in earlier matches and had got a couple of loose deliveries out of the way before the denouement. But on Sunday because David Willey had taken two slightly fortuitous wickets in the 16th over, he was entrusted with the 18th. Stokes was denied the relative comfort of a few deliveries to find his rhythm before the critical moment. His first delivery of that final over lacked conviction. It drifted down the legside into Carlos Brathwaite’s huge arc and was swung away for an easy six. If that was bad, the sight of Samuels 85 not out and smirking at the non-striker’s end was worse. The contest was lost at the point. The momentum had swung irreparably, though the brutality of Brathwaite’s striking was breathtaking. After the game Eoin Morgan rightly blamed England’s poor batting for Sunday’s defeat. It was not Stokes’s fault. But you cannot discount the mind games that made one man a hero and the other heart-broken.